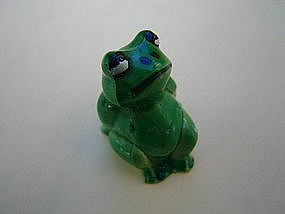 Tiny little porcelain frog manufactured in Hong Kong. It is 1 3/4 inches in height. There is no damage. I need your zip code to calculate the postage.